I'm working on the next generation of Hex Grid Tiles (the first set of Hex Grid Tiles can be found HERE)and this set will be focused on interiors of things like caves, dungeons, castles, etc. I may also include sewers, spacehips/stations, and some sort of alien hive if they fit. But I have a question: What features/options do you look for in a tile mapping system? For example: I plan to include optional layers for treasure, pits, staircases, etc. 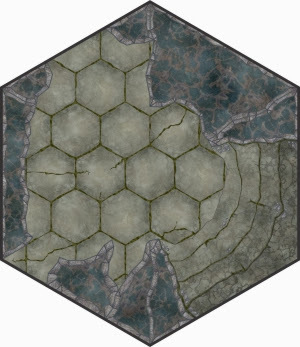 What are your "make or break" items that you need your tiles to include? Wow!!! Those look really sweet!!! These are good! Perfect for Gurps! I have not fallen off the planet! Things in the real world have just been way too insane! Just a quick update: I just have to complete the cover and a few demo photographs. 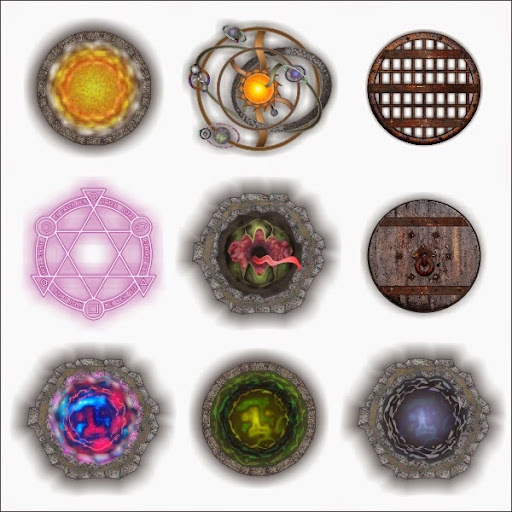 "Hex Grid: Corridor Tiles - Castles, Caves, and Cobblestones" will be released soon! Stay tuned! 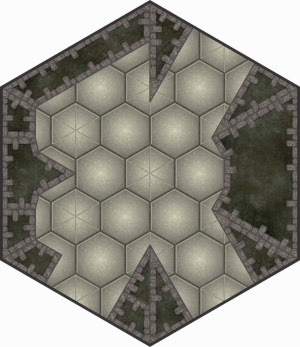 This tile features 1" size castle floor and cobblestone hexes with the block stone walls and a few center features thrown in. I was able to design this really quickly using a new sketch page I added to help layout how several tiles fit together to make a complete map. You'll be able to just print that page and fill in by hand the walls/features/notes you want for each of 23 Hex Grid Tiles. Will there be matching mini base textures to go with the new floors? Not seeming to see anything on your Wargames Vault page tonight that quite matches the castle textures (but maybe that's just me peering at too-small images on-screen). 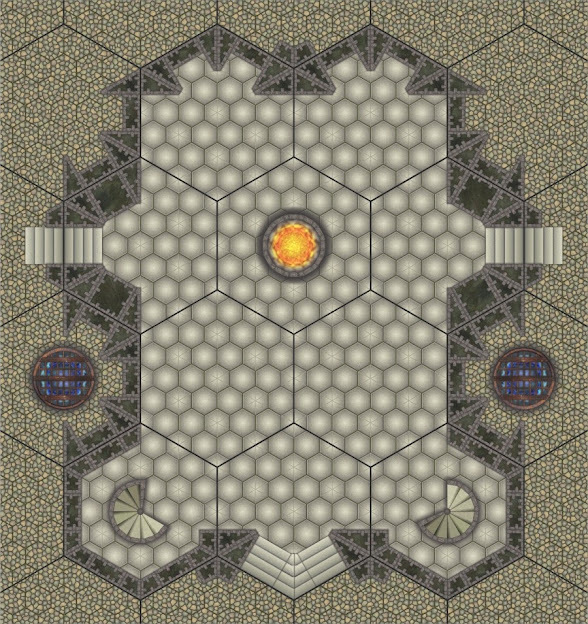 I used the stairs to represent the seating around the arena walls, added holding cells on opposite sides, and placed a pit monster in the center for an extra hazard. This was created using just six different tiles that were repeated and rotated. 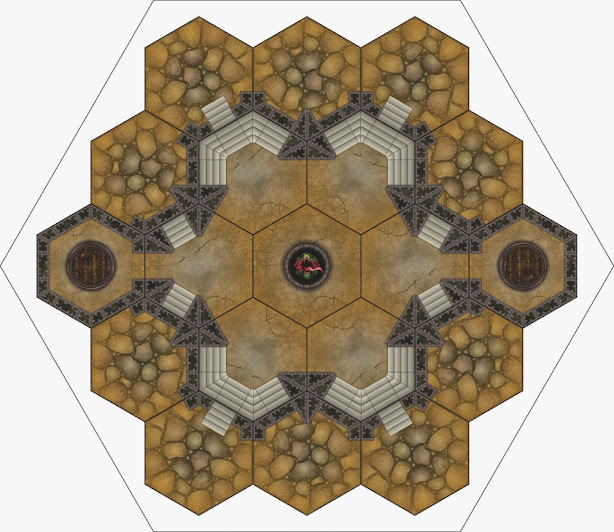 If you eliminated the holding cells and arena exteriors, you could create the battleground with just three different tiles.